Whether you’re building your hundredth client website, or you’ve just finished up Responsive Web Development and are looking for a host for your first portfolio site, you’re hunting for the best hosting provider. Because you’re probably looking for both the best and the cheapest, you may run into the mythical “Unlimited Everything” hosting plans offered by some hosts. You’ve probably seen them before. “Unlimited Storage Space” or “Unlimited Bandwidth” or perhaps even “Unlimited Server Resource Usage” (Memory, CPU power). Have you ever wondered how providers of shared hosting can provide those unlimited resources? There are two separate terms to consider here — “unlimited” and “practically unlimited”. Unlimited simply means without a limit. Of course, the issue with unlimited storage space is that you are aware of the fact that it’s not possible to give storage space, with no limits at all, to every customer. Or to any customer. Eventually you’d run out of space on the drives, on the server. Eventually that user will be requiring a data center to be created on their behalf, which of course would be preposterous for most use cases. However, some hosting companies offer it anyway. They put a big “Unlimited Storage” or “Unlimited Disk Space” sign up and people flock to it only to find out later that there are some hidden limits, some masked lines that cannot be crossed, because of course there are. And therein lies the issue – if there are limits, don’t the users deserve to know about them? Unlimited is a good marketing buzzword, but when it isn’t true, it may just cause problems down the road. If something is practically unlimited (the phrasing is mine, but the gist is the same) then they’re going to be, for all intents and purposes, unlimited. They’re unlimited if one considers normal use case scenarios, and the technological limit is beyond what a normal customer would use. There are therefore no practical limits that the customer would care about. However, if one goes beyond what the company considers reasonable, one will run into a wall. Instead of dumbing this down and calling it “unlimited” in order to make the customer (and the company’s) life easier, the best plan would be to make practical limitations available (easily) to the customer, so that they can assess the service with as much honestly delivered information as possible. Unlimited storage space is perhaps one of the biggest offenders. 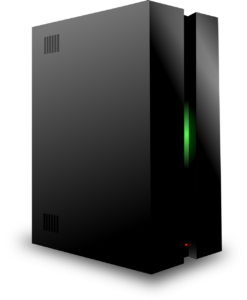 Plenty of hosting companies offer “Unlimited” storage space. Some give reasonable caps, an amount measured in gigabytes, of space which will be reserved for your tier of hosting, or for your VPS. Others call it unlimited, but then bury fine print in the terms of service about what they can and cannot be used for, how much space constitutes a legitimate usage of their service, and more. Unlimited bandwidth is another culprit. There clearly is no such thing as bandwidth without limits. As a developer, getting terminology correct can be important, and one host that seems to get this one right is SiteGround. SiteGround claims “unmetered” bandwidth rather than “unlimited” bandwidth, which is an important distinction. If one reads their tooltips and informational paragraphs, they explain. They claim to not meter and arbitrarily limit the bandwidth of their customers, but they also acknowledge that there are real limits to what a customer can use – if their requests are surpassing the capacity of the container they’re in, for example, there is a hard limit there. This acknowledges something that we all know – there are limits to the amount of data one can send back and forth. It’s merely a question of whether those are arbitarily enforced limits, or technological ones. Server resources are more often claimed to be unlimited in a shared hosting environment than in a VPS one. VPS sales often indicate their avaialble resources on the server – memory, CPU cores or speeds, storage space, and bandwidth. Shared hosting sometimes mention bandwidth or storage space, but rarely dictate amounts on CPU usage or RAM, sometimes going so far as to say that they are unlimited commodities. These are perhaps the most finite resources of all. A host must allocate a particular amount of CPU and RAM to a server, and to containers within that server. These resources are harder to expand than storage, and are very finite. Will most shared host sites run into this problem? No, but some might – and if the host is selling these server resources as “unlimited”, then the customer may have no idea they’re beyond the physical limits of the platform, and begin wondering why their app is failing. Make sure to check tooltips, footnotes, etc when looking at hosting plan charts. Sometimes, when the word unlimited is used, hosts will provide further information below – allowing a casual user to understand that it is, in most cases, an irrelevant limit, but still providing the necessary specs for developers who need them. In conclusion, the takeway point here is not to believe the promise of “Unlimited Everything”. It doesn’t even necessarily mean that the hosts offering unlimited resources are bad, but they need to be providing you with a way to understand your limits. You as a developer need to be able to count on your platform to meet performance expectations, and you can only do that if you have an accurate understanding of the practical limits of your hosting services.